Due to the recent influx of customers, we will not be taking any more animals for the remainder of the season. Sorry for the inconvenience! We strive to produce the highest quality work in the industry. From the start of the process to finish, we work closely with our customers to provide the best experience and expertise to each piece we create. You work with artists who truly care and pour their talents into each piece. We are experienced with all mammals, birds, and fish. Tom has been featured in Michigan Out-of-Doors Magazine! 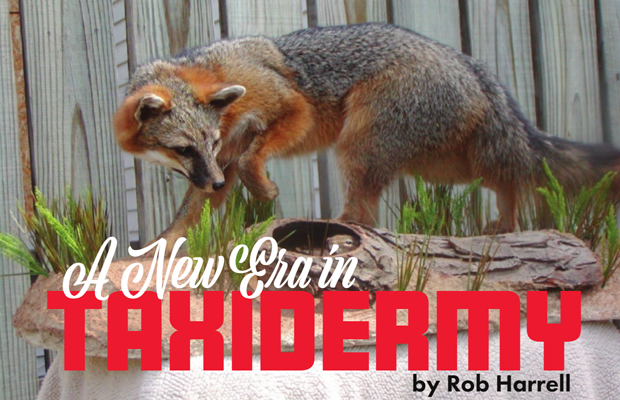 Are You Looking To Learn The Art Of Taxidermy? We are currently offering an apprenticeship opportunity for motivated individuals who are interested in learning the art of taxidermy. 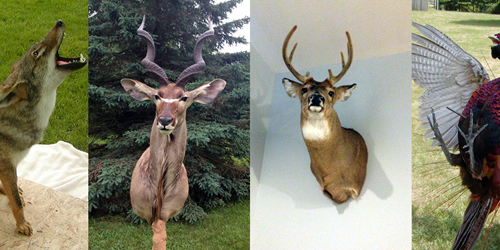 We are seeking detail-oriented applicants who are actively seeking to get hands-on experience on various taxidermy techniques. Techniques are based on quality and details, and not quantity and speed. Techniques are demonstrated point by point in a highly structured and supervised manner. This apprenticeship does not require prior experience. If you have a good work ethic and are not afraid to get dirty, please contact Tom for more information! **Attention** Due to the recent influx of customers, we will not be taking any more animals for the remainder of the season. Sorry for the inconvenience! Read up on CWD in Michigan and see how Anything That Moves can help you take action!